No. We can't overfill any of our waves for safety and liability reasons, and to help with course flow. If your group is signed up for a wave that is full, they may move into your wave through their EventSprout account. See: What's my wave Time? How do I change it? The other option is to wait and see if more spots become available in your desired wave as the race nears. While there is no guarantee that space will open up, there are many Warriors who make last minute changes to their waves. To see any available wave times, login to your EventSprout account and choose View Order for your event. Then click Update Ticket to the right of your name and from the drop down menu, you can see if there any wave times available to switch into. *We do not have any standby or waiting lists for wave availability, so please use your EventSprout account to check availability. 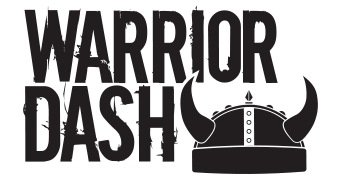 When registering for a Warrior Dash race, an EventSprout account is automatically created for you with the email address you use on your registration. If this is your first time logging into EventSprout, you will need to activate your account by setting up a password. To create or reset your password, please head HERE and click, "I Forgot My Password." You will need to enter your email address that you used to register for the race, and you will be sent a link to create/reset the password.